Wanna help me RING in the new year? Because I’m about to make a RINGING endorsement for these new gummies! Hate me yet? Awesome. Let’s do this. 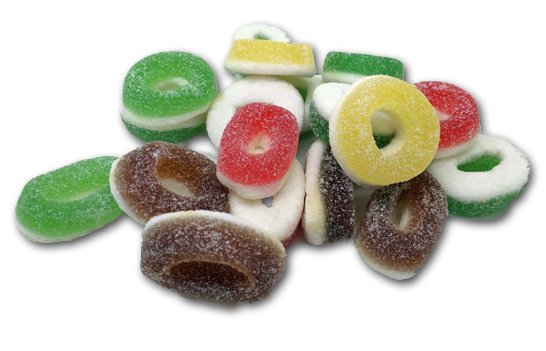 A quick word on gummy rings: Up until now, they’ve been peach. Why? I have no idea. The world somehow decided that, since these gummies were going to be shaped like a ring, then there was no appropriate flavor aside from peach for them-makes sense, right? Because peaches are…..ring sharpen? And so it was written. Peach rings, that’s it. Like a lot of other things in life, no one’s gonna change the status quo until someone, Haribo in this case, decides enough’s enough. 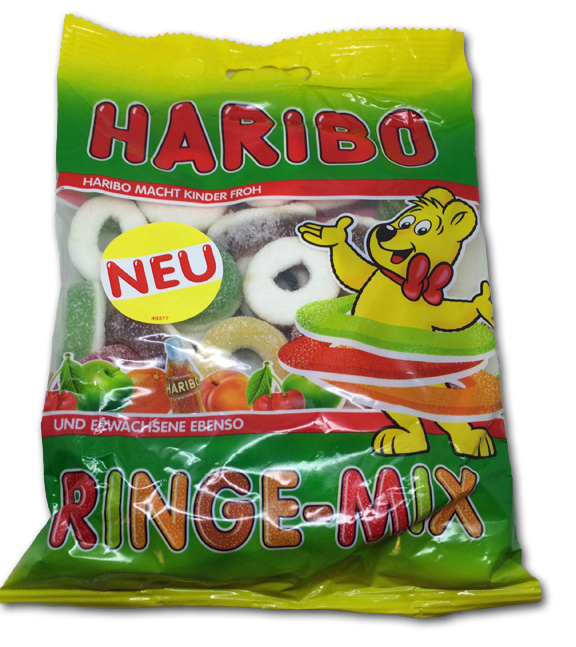 The long standing tyranny of peach only rings had to end, and Haribo took a stand. Welcome to the new world. A world of peach, cherry, apple, orange and cola rings. Totally random open bag shot. As you’ll notice, ….no sign of anything resembling peach OR orange. So now I’m all agitated. But…phew….it’s there. Peach is the yellow one. Why? BECAUSE HARIBO SAYS SO THAT’S WHY. While I’ll admit it’s WAY better to have the 2 similarly colored fruits different colors (avoids taste bud confusion), I might have gone light orange and dark orange but I’m just nit picking here. Let’s talk about these. They’re magnificent. And they’re not my typical favorite style of gummy-these have the foam thing on the underside. Usually, I’m meh on that, but I like these. The sour coating on the gummy makes the foam slightly sour. The consistency is soft and pillowy for the whole thing, again not something that’s my favorite, but these work. I’m proud to say that we’ve blasted back several barriers in the last few years: gay marriage, deflated footballs, weird militia dudes getting lube delivered to them when they’re taking over wildlife preserves- that’s a lot of accomplishment right there. 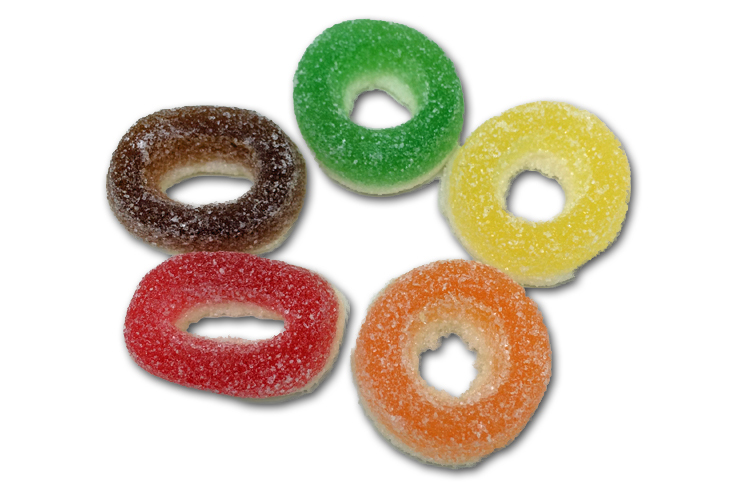 But now we have 5 flavors of gummy rings, and they’re magically delicious and sour to boot. Ahh, to live in Germany. They’re way ahead of the curve. Can’t get them here, but there’s a link to an Ebay seller below if you’re so inclined.